Mini handball will be in the spotlight on Latvia's "Olympic Day 2014" on 26 September, with the day's motto being "Get to know mini handball". The "Olympic Day 2014" is organised by Latvian Olympic Committee in cooperation with the Latvian Handball Federation. Over the course of the day traditional gymnastics sessions will be held in venues across Latvia, creative competitions and events take place, but there will also be a special programme that introduces the basic rules of handball to the children. The organisers predict that this year's success of the "Olympic day" will top previous editions and the interest and participations from schools and children alike will go up. For the "Olympic Day 2013" 84,000 students gathered in 81 venues. All "Olympic Day 2014" venues will begin their day at the same time with a morning gymnastic session, aiming at 'waking up' the participants and prepare them for the day's upcoming activities, as well as stressing the importance of morning gymnastics as an everyday component. Latvia enjoyed its first taste of mini handball last summer and has already enjoyed massive success, with 49 girls and boys teams and over 400 kids taking part in a tournament held in Riga at the end of 2013. In early October, the Latvian Handball Federation signed a SMART agreement, an official EHF development programme, for the promotion of mini handball in the country. With support of the EHF in 2013, six mini handball tournaments in different cities throughout Latvia were organised. 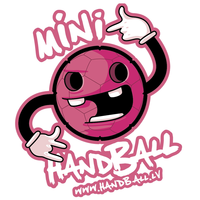 Mini handball madness is set to continue in 2014 and the Latvian Handball Federation hopes to break the previous participant records and attract even more kids to the sport.